A beautiful home is a like a beautiful work of art. Every detail matters. It’s all the tiny details on the inside and out that make a home unique and personal to its owner. At Custom Stained Glass, we believe that it should be possible for everyone to achieve their dream home. That’s why we provide you solutions for enhancing your home that create privacy, add visual interest, and improve its functionality. 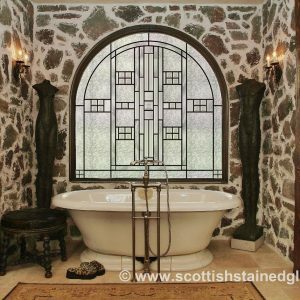 From intricate ornamental stained glass inserts for your sidelights to one-of-a-kind, yet practical sliding stained glass windows for your bathroom, we offer an extensive range of custom stained glass windows and inserts for your home. Customize your home with a unique, elegant fixture for your bathroom, kitchen, entryway, or more. 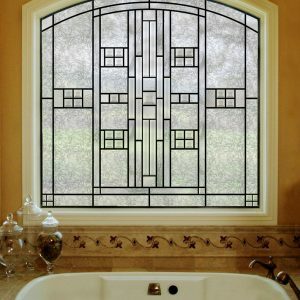 Our unique, streamlined process makes it easy for you to order custom stained glass for your home and have it shipped directly to your location. To obtain a custom stained glass window for your home, simply go online to our website or call our office to place your order. 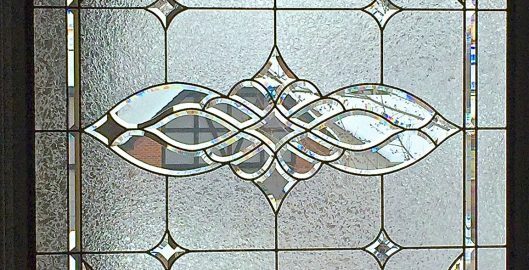 Online, you can browse photographs of different styles of stained glass and find an option that appeals to your tastes. Once we receive your order, we’ll immediately begin creating your lovely custom stained glass window at our workshop located in our central office. First, we design and create the stained glass according to the specifications you’ve provided using the highest quality glass and lead available. Then, we’ll make it install ready using our unique Sealed-In-Glass Process. This process extends the longevity of the window, makes it easy to clean, and prevents moisture damage. Once your stained glass window is ready, we’ll ship it directly to your location. The fixture you receive will be install-ready and will include the SIG unit along with the entire window frame. Instructions will also be sent to you that will tell you how to install your newly purchased stained glass. Begin the process of ordering a custom stained glass window for your home today! Browse our shop online or contact our office directly to get more information.